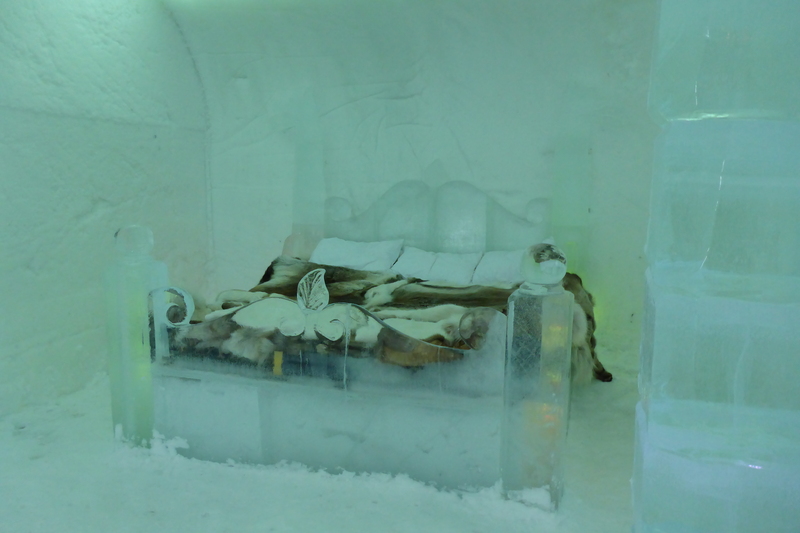 Have you ever wondered how it would be to stay overnight in a hotel of snow and ice? 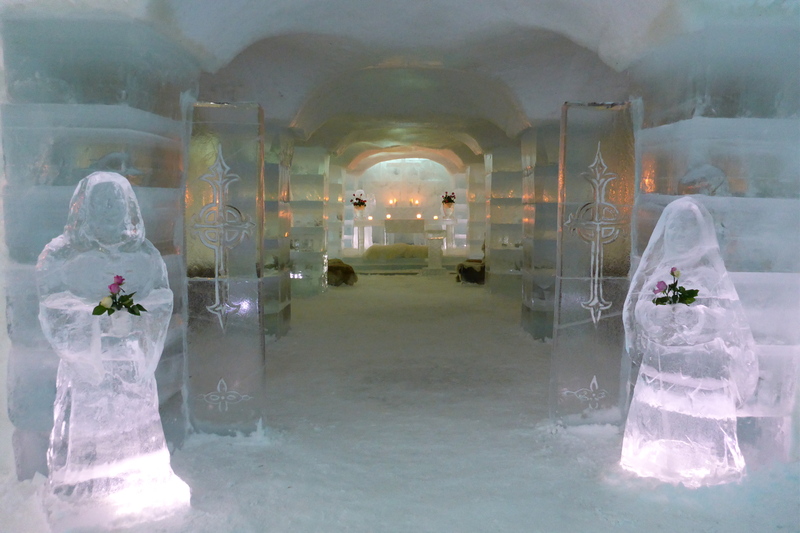 Sorrisniva Ice Hotel is made of 250 tons of ice and 6000 cubic meters of snow. As these tend to melt, the hotel is rebuilt from scratch every year. The one I visited was the 15th they had built, and contains 28 standard rooms, a bridal suite, a junior suite, a chapel, several lounges and a bar. The glasses are off course made of ice! 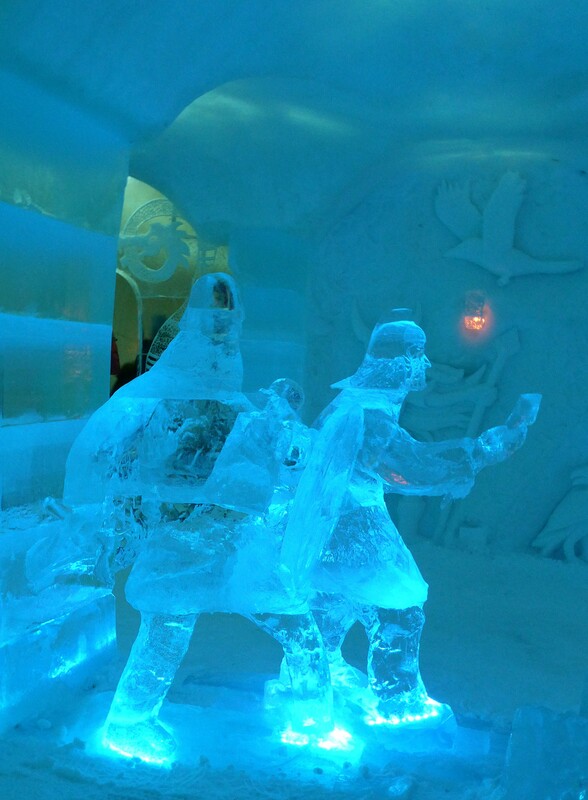 The lounge areas are decorated by ice sculptures and the theme changes every year. In 2014 it is Viking Kings. Even though the inside temperature at the hotel is between minus 4 and 7 degrees Celsius, you will be perfectly comfortable sleeping in thermal sleeping bags. 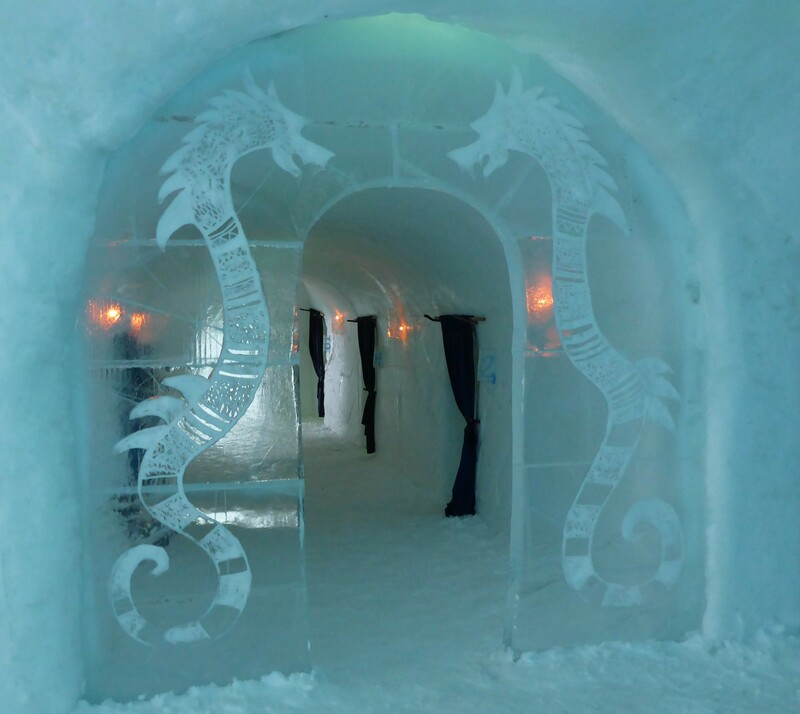 If staying over at the ice hotel sounds too adventurous, it is possible to just come by to have a look. And you should! 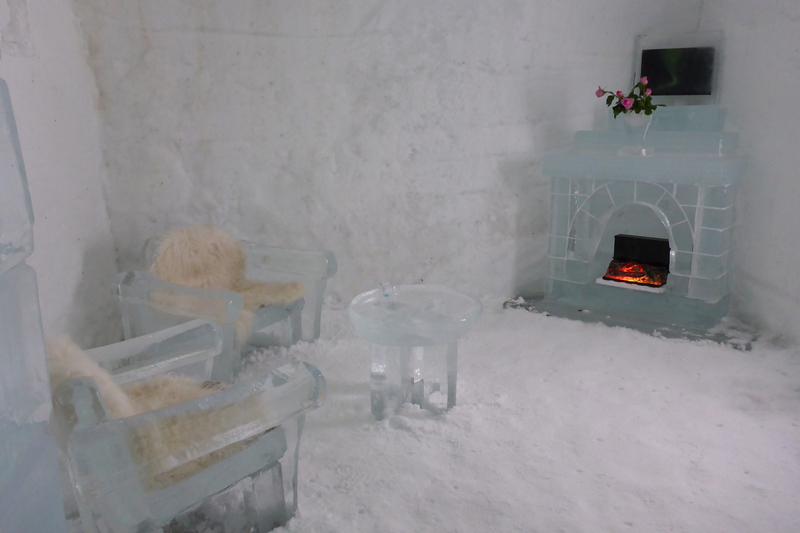 Sorrisniva Ice Hotel is situated about 20 kilometers from Alta’s city center, on the banks of the Alta River. This looks amazing! 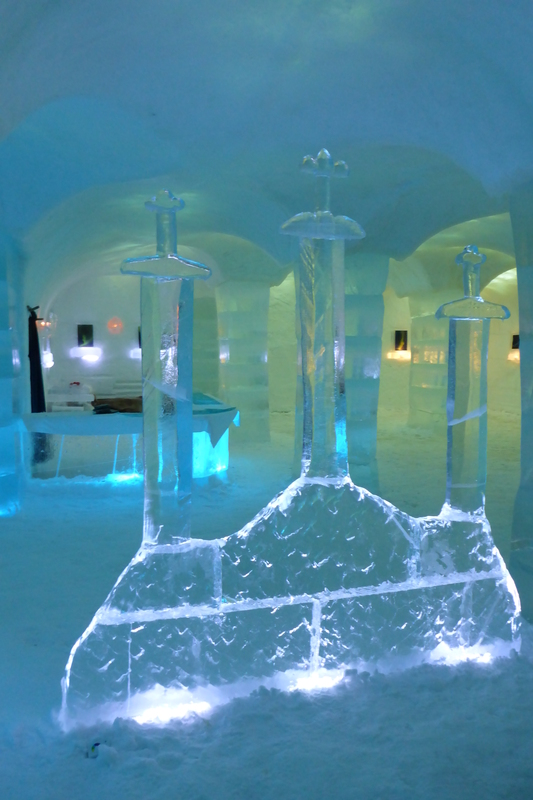 I went to the local ice bar but I can only imagine what it would be like to SLEEP there. The bed looks surprisingly comfortable for being a block of ice. I think it is really cool how they make a new one from ice every year; I was wondering how they did it. This is definitely on my bucket list.